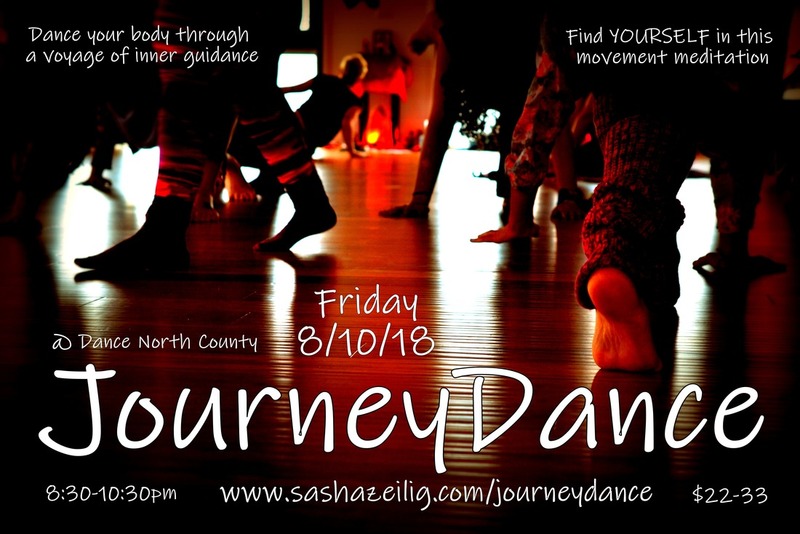 You are now registered for Jouneydance™ at Dance North County from 8:30-10:30 pm on Friday 8/10/18! Ticket: You do not need a ticket. You're name will be on the list when you arrive. Your Paypal payment will serve as your receipt. Time: It is important that we keep the container safe and sacred. Please arrive early and be ready to start on time at 8:30 pm. We will dance for about an hour and a half with time for sharing afterwards. Clothing: Wear clothes that you can move easily in both standing and moving on the floor. Miscellaneous: Bring water and a journal if you so desire. Share: Help spread the word by inviting your friends on Facebook!